Sorry I haven’t written all week. Any free writing time I’ve had I’ve been spending on Nanowrimo. It’s currently day 19 and I’m at 37,251 words. I know I will go past 40k this weekend, so finishing is definitely looking promising! (Been harder to motivate myself this time around with all the other things I have going on). Anyway, there has been something I have been thinking about lately. Last year on my youtube channel I started doing a Star Wars google hangout podcast style video with my friends Abby and Jeremy. We watched each of the films and then met together to talk about it. It ended up being a ton of fun and I learned a lot from crafting my summaries and questions. I enjoyed it so much I started doing more podcasts. Over the last year or so I’ve had somewhere around two dozen different co-hosts on my channel to discuss movies, books, and even now TV shows. We’ve done series with multiple episodes like looking at Star Trek, Star Wars, and Harry Potter and individual podcasts looking at Hunchback of Notre Dame or Zootopia. Since almost everyone has agreed to come back on the show after their first visit I think they all find it an enriching experience. I’ve certainly learned and grown from talking about these topics with my friends. What is particularly striking to me is some of my more reticent co-hosts that agree and walk away having a good experience. Like my sister Megan, she’s shy but I really wanted to discuss her newly published book and I think she walked away from the video feeling very positive about it. I bet I could get her to come on again if I found the right topic. The other day I put out a request for someone to join me to talk about 2016 animation and was overwhelmed by the interest on twitter. It made me wonder- what is that is so gratifying about this type of experience? Here’s my theory- it feels good to be an expert. I’ve been watching all this election coverage and they are constantly bringing on experts about Trump, the White House, transitions, elections etc. These people know about a topic and are taken seriously about said topic. Once we finish school that experience almost never happens to us as adults. We have all this knowledge but unless we have a patient spouse it just kind of rolls around our brains with nobody to share it with. It’s funny because with google and wikipedia we have all this access to information these days (and access to incorrect information). In the past you had to go to a library and get some kind of Star Wars almanac or guidebook to become an expert on Star Wars. Now it is only a few clicks away. It feels good to have a way of sharing that information and extol the virtues of whatever it is that you love. To look at it on that deeper level. It also feels good to be listened to and that’s something I hope I do. I try to because I really love doing it. I’m humbled by anyone who is willing to give up an hour or more of their day to spend talking to me. I truly am. Even if it isn’t something we are truly experts on- it may just be your opinion on a film you’ve seen once- but it feels good to have someone listen to your opinion and discuss it with you in a civilized way. It makes me think we need to do better at letting people talk in our lives and asking them questions because this shouldn’t be restricted to a podcast. We should have these enriching discussions with those we love and make time in the madness of life to sit down and talk about the silly stuff like movies and books. It feels really good to be listened to. 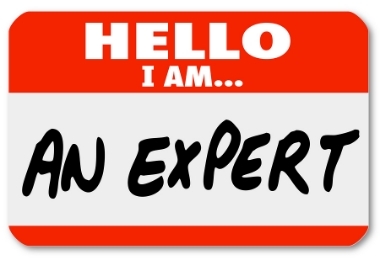 It feels good to be an expert! This week is Thanksgiving and I just wanted to say thank you to everyone who has come or will come on my channel. I am having the time of my life! Thank you so much! I hope it is half as rewarding for you as it is for me. If you have any ideas for podcasts let me know. I’ve done several on the initiative and request of my viewers!